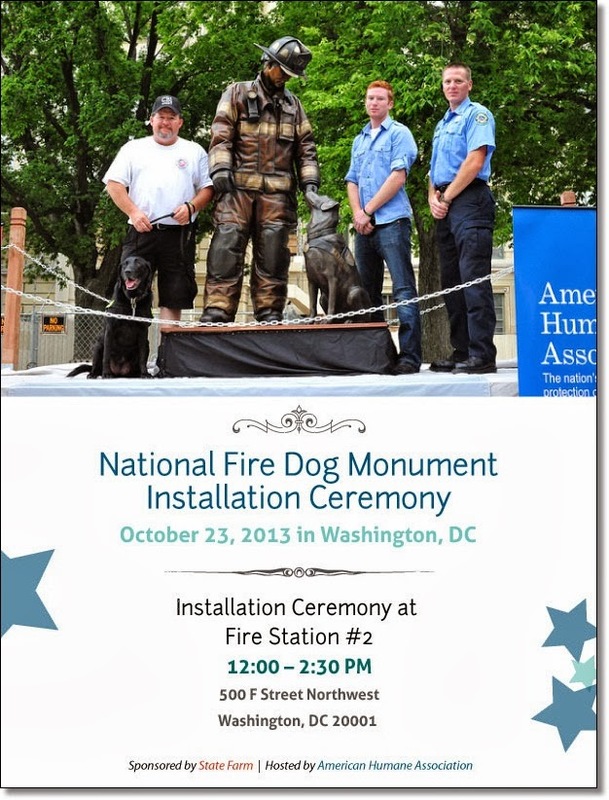 American Humane Association invites you to join us for the final installation of The National Fire Dog Monument, created to recognize the incredible contributions that accelerant detection canines (arson dogs) make in keeping communities safe. The monument traveled from Denver, CO to Washington, DC last summer for temporary placement at D.C. Fire Station #3 where the general public was able to view it inside of the station’s museum. The monument will be permanently installed on the sidewalk in front of Fire Station #2 in the Chinatown section of Washington, DC on October 23rd. 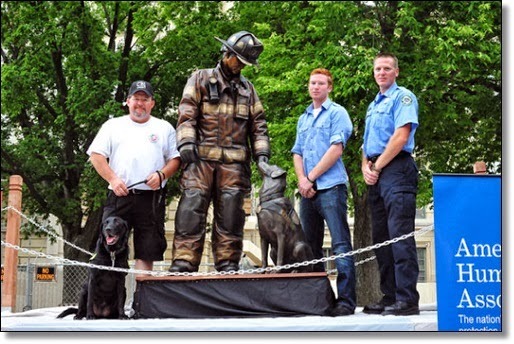 American Humane Association and State Farm were instrumental in providing funding to The National Fire Dog Monument (NFDM), a 501(c)3 non-profit organization created to build a bronze monument dedicated to all Certified Accelerant Detection K-9’s (arson dogs) as a way to acknowledge their service to the communities where they serve. I hope you will join us here in Washington, DC on October 23rd, to help call attention to the nation's arson dogs and thank the men and women who train and care for these four-legged heroes who do so much to protect families and communities across America!